BIN 4X is a module with 4 configurable channels as binary inputs or LED outputs. 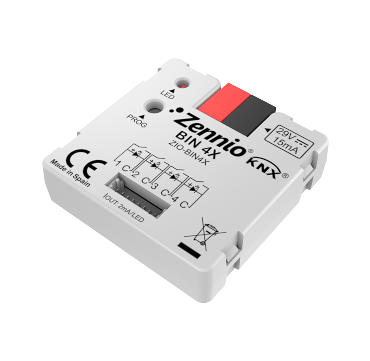 Binary inputs can be configured as sensors, switches or potential-free push buttons. Binary outputs can be used for low current LED control. Installation in standard mounting box.